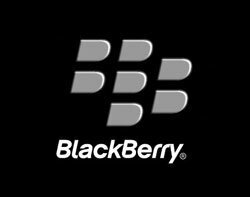 In a move aimed to rekindle interest in the BlackBerry Enterprise Server (BES), BlackBerry has extended the platform to support Android and iOS. BlackBerry has embraced mobile device management (MDM) beyond BlackBerry devices by offering secure Android and iOS within the BlackBerry Enterprise Service. The company has introduced a security product called Secure Work Space, costing $99 per device per year, that separates work and personal apps and data on iOS and Android devices,. It runs as an add-on for with BlackBerry Enterprise Service 10 (version 10.1.1). Secure Work Space for iOS and Android has been piloted globally with BlackBerry customers since the launch of BlackBerry 10. Netherlands-based e-office mobile is one of BlackBerry’s early adopter program for Secure Work Space. Secure Work Space offers integrated email (with attachment viewing), calendar and contacts for productivity, as well as secure browser access to intranets and document editing capabilities with BlackBerry’s Documents To Go support. Cloud storage service Box is working with BlackBerry to extend the platform to support to collaboration in the cloud. According to Blackberry, Secure Work Space extends the secure connectivity on BlackBerry devices to iOS and Android devices. The Secure Work Space container is managed through BlackBerry Enterprise Service 10, making it easy and convenient to manage all devices from its single console, the company said. David Smith, executive vice-president, Enterprise Mobile Computing at BlackBerry, said: "In today’s bring-your-own-device world, Secure Work Space is a differentiated solution that brings key elements of the BlackBerry security platform and MDM to iOS and Android devices."